Carlson Plotter/Cutter systems can mount to most table tops and level cutting surfaces. 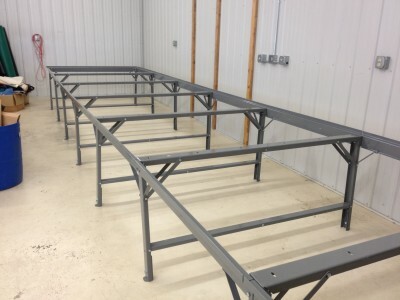 For ready-made vacuum tables, we recommend Phillocraft vacuum tables. They are very industrial, simple to assemble, and easy to expand in length and width. They are made of heavy gauge, rolled steel frames with composite hard board hard board drop in tops. You can find out more details and pricing information here. You can see Phillocraft instructions here or scroll down for a step-by-step picture instructions from our install of a 6’x28′ Phillocraft vacuum table at Prodesign in St. Cloud, MN. Congratulations your table has arrived! 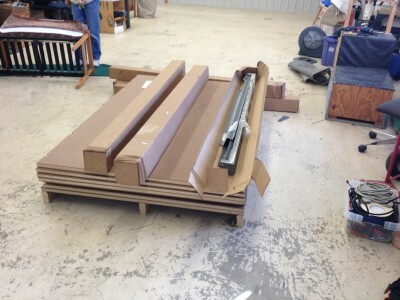 It is flat packed on a pallet. There are no extra parts -- keep everything even if you aren't sure what it's for -- you'll know soon enough! Select where you'd like your table to go. 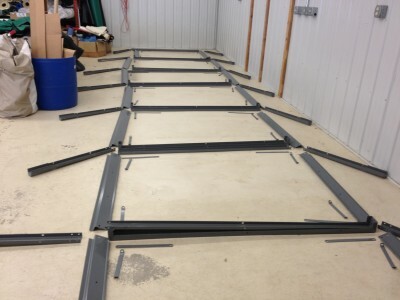 The first step is to unpack and layout your table frame. Identify ends. Unlike the endless sections, these have 45 degree angles. 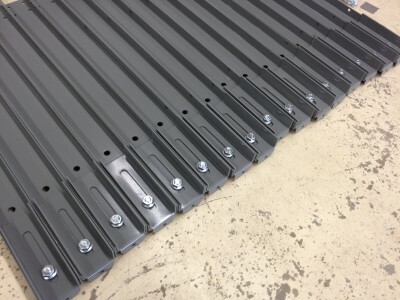 The endless sections are 4' long and have flat edges. 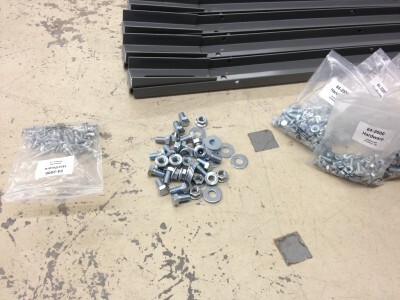 Take all of the fastener bags and sort the nuts, bolts, and screws. 1/2" screws and nuts, #10 screws, and 3/4" nuts and bolts. This will save you time and hassle later. Assemble legs. Attach the foot to the 31" long legs. They attach with 3/4" bolt, washer, leg, and finally nut. Identify the center cross members. 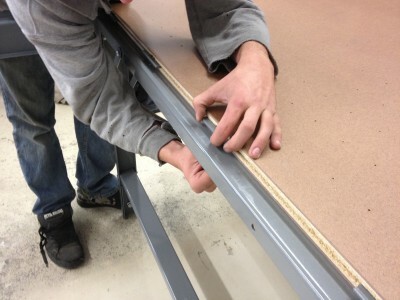 Top brace is the width of the table and curved on each end. 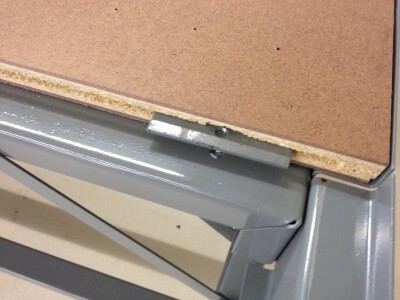 The lower brace is the width of the table and straight. Layout supports. 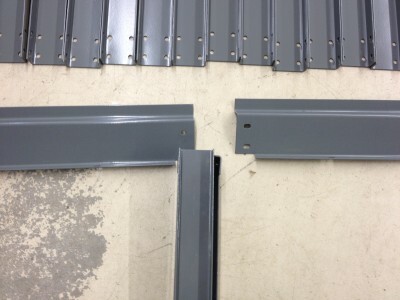 The straight supports attach to the top brace. 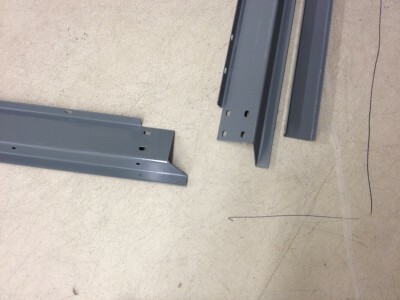 The rounded supports attach to the endless sections. Full table layout! 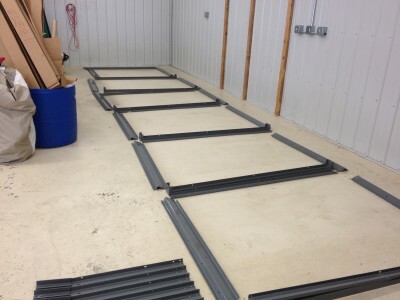 Laying out your table before you start will really speed up the installation. Pick an end and begin assembly. 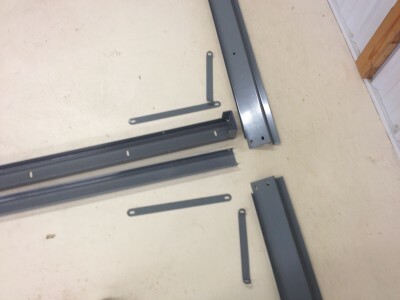 Use the 1/2" nuts and bolts to attach supports, legs, and braces. No tooling required yet, only finger tighten. If you have a friend, this will go a lot faster! Add sections. When attaching feet - from the inside out -- it goes leg, brace, endless section. Before adding the tops, it's time to position your table. Add the first table top. Slide to end. 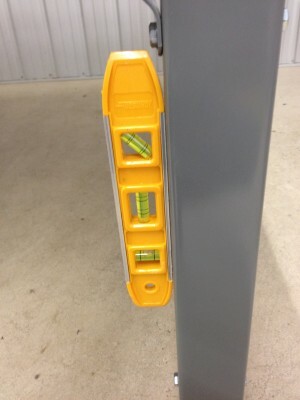 Insert 3" metal spacers and bolt from bottom with half inch bolt. Barely tighten. After all tops are in, square and tighten. 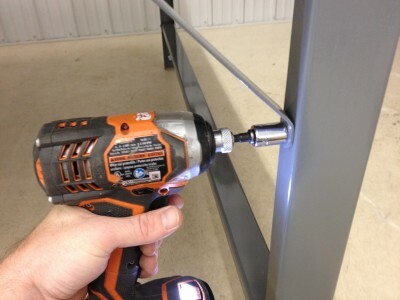 We recommend an impact wrench for tightening your table -- this makes the job fast and easy. Don't over tighten. Once table tight, it’s important to level. Identify the high spot on the table. 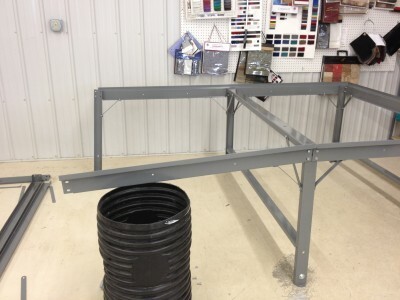 The table feet have up to 7″ travel, using a jack, raise sections until the table is level +/- .25″ over 3 sections. It is important you take the extra effort to do this right. 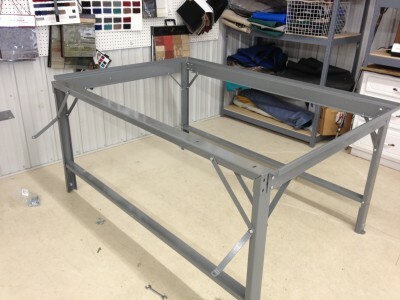 Level tables are much faster and cause less wear and tear. Finally, once installed — you can add your cutting surface, overhead cabling, plumbing, and blowers. If you have any questions or any problems please contact Carlson Design. 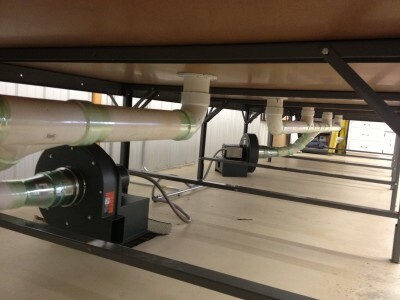 Phillocraft tables work with a wide variety of plumbing, blowers, and cutting surface. 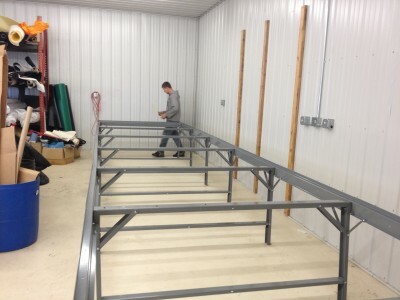 For recommendation on sizing the right components for your table, please contact Carlson Design. 918-438-8344.